Roepke’s Village Inn – Charlesburg serves authentic supper club food, with steaks cut in-house and fresh fish delivered to their door. Enjoy a local restaurant with the attention to detail of an upscale establishment. 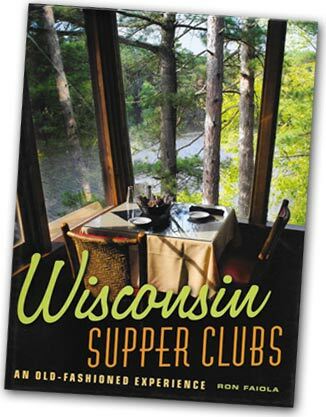 Excellent service and a cozy atmosphere make Roepke’s the ultimate supper club experience. “The supper club has featured a salad bar since 1968. The bar features several homemade prepared salads, including sweet sauerkraut, and corn, bean potato, and cucumber salads. You can also find liver pate, cheese spread, assorted vegetables, and soup. Some Roepke’s patrons come just for the soup and salad bar. Entrees include traditional supper club fare, plus German specialties like wiener schnitzel a la Holstein (topped with two fried eggs), rouladen and braised pork shank with old world sauerkraut and red wine gravy. Roepke’s can seat 105. The club’s biggest night is New Year’s Eve, when about 650 meals are served. on a busy weekend, Roepke’s will serve 400 to 500 dinners.